I have no idea of when this was taken. And I’m told that it’s me …but it might be my big sister. Mom – do you know? They don’t make these any more!! I would have loved a playpen like this for my kids – they both would have fit in it for a long time. Great cute picture. The playpen was a great thing back in the 70-80’s!! Wish we had them also now! Greaty picture of you. That playpen was a hit. Definitely, when my kids were babies I hoped that I had one it. Man, we tracked down an old-school “big” playpen like that for our two and MAN they LOVED it! When they were finally too big for it, and we took it away (it had glamourously been in the middle of our living room) they asked and asked for it to come back. What a fun, fun picture….thanks so much for playing along with Way Back When-esday, Nancy! I’m pretty sure it’s you — Cathy was still pretty chunky at that age and her eyes were/are bluer, but you certainly had the same hair. 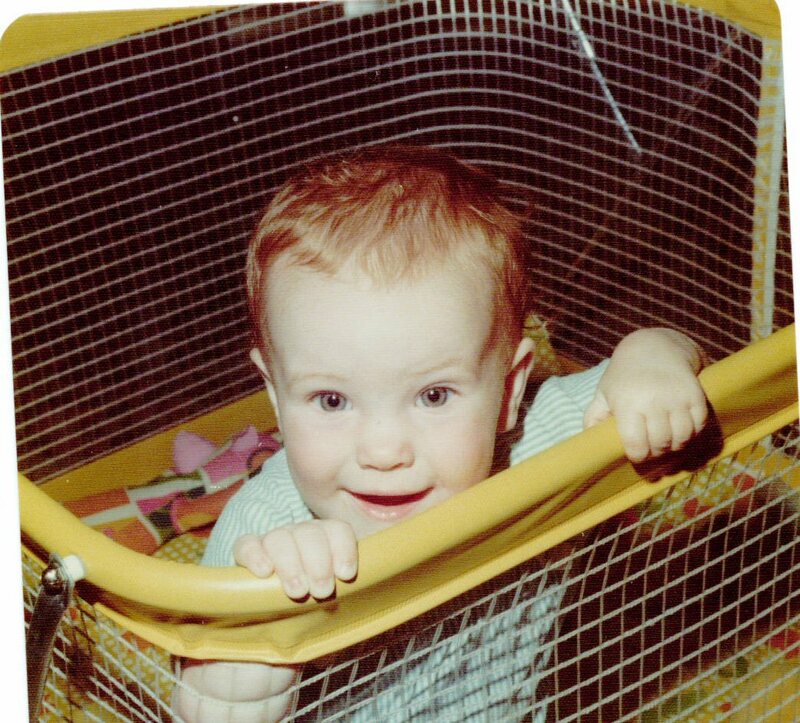 *I* loved that playpen — it’s nice knowing that your kid is unlikely to get into trouble for at least a few minutes. It can also keep the younger kid “safe” from the older one(s) for awhile.